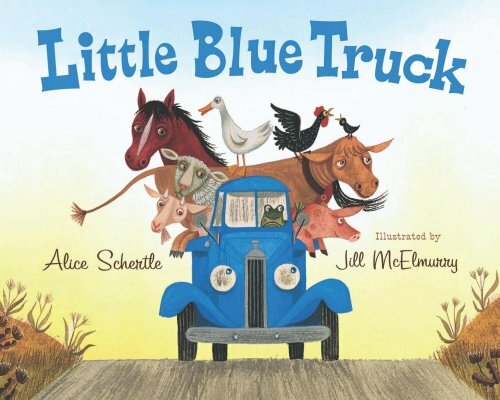 A little blue truck happily drives along the country road, greeting all the friendly farm animals he sees along the way. Suddenly a big dump truck races past, pushing them all out of the way. But the dump truck goes too fast and skids into the mud. Little blue truck comes to the rescue, but ends up getting himself stuck as well! Luckily the friendly farm animals all come to help. They work together to make sure their new friend gets back on the road. This delightful rhyming book has a clear message on the importance of being polite and kind to others. This story can be used to start a discussion around friendship and the characteristics of being a good friend. Younger children will love joining in and copying all the animal noises as they learn about the different animals we find on a farm. For more speech and language targets in the Little Blue Truck, see the list below.